TemplateToaster offers some pre-designed (or preset) gradients. You can choose any from the preset gradient fills. Linear gradient shades are in a straight line from the starting point to the end point. Radial gradient shades are in a circular pattern from the starting point to the end point. Provides the second color apart from the background color to form a gradient. Offset is used to set the location of the color stops. Specifies the angle between the two colors. 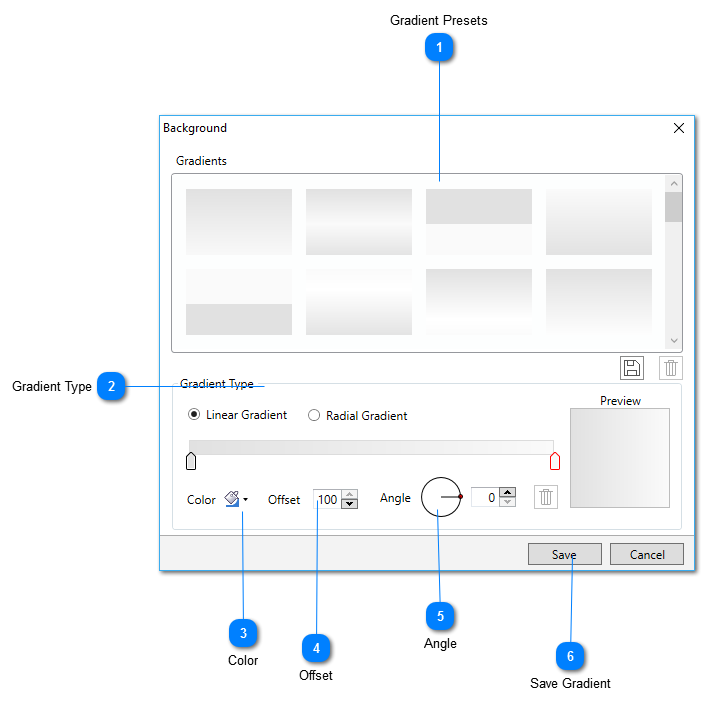 You can specify a custom angle to create your own gradient style. To save your custom gradients.